I read this article and found it very interesting, thought it might be something for you. 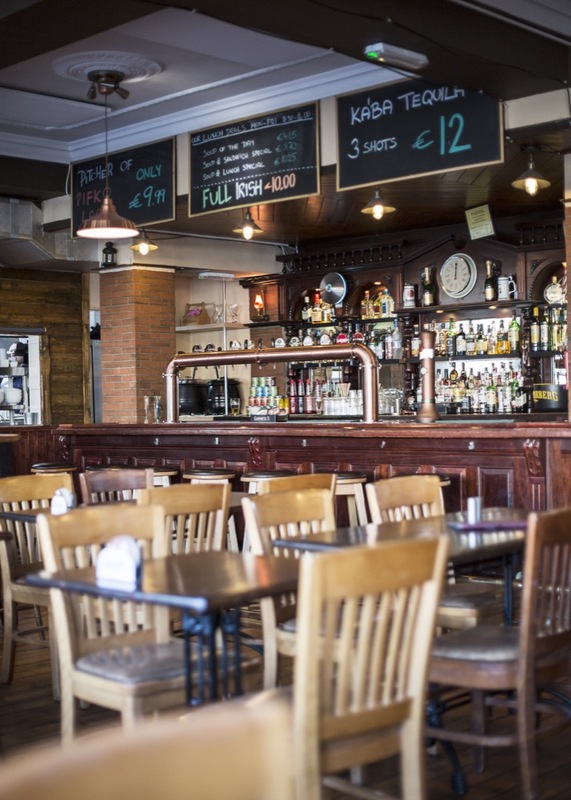 The article is called Barfly: Pifko Bar and is located at https://www.totallydublin.ie/food-drink/bars/barfly-pifko-bar/. It can be difficult to get the measure of anywhere place in Dublin in the first half of March. Is it always this busy? Is it always this green? Am I? Accordingly, I wait for a few days for our principal patron saint to be well and truly fêted before investigating Pifko Bar, Liffeyside, by Liam Mellowes Bridge. It is a big old pub; obviously Usher’s Quay has been here for a while and obviously there has been some sort of drinking establishment here for almost as long, but it is difficult to remember what went before. There are a few fairly large and fairly unmemorable pubs along la rive droite here; my sources say that this address once housed The Liffey Wharf, which obviously qualified on both scores. I certainly remember nothing of it at all; an unpretentious sort of place, by all accounts. There’s not much pretension in its successor, either – a “pifko,” apparently, is a beer. I do not get the impression that we are clearing up after St Patrick’s Day festivities here. There is no Carroll’s Irish Gifts debris; no green-painted windows. There is a flag flying outside, but it’s Czech. This speaks to a certain admirable consistency. The corner entrance is for an off-licence annex, the main bar is reached from Usher’s Quay proper. Inside, the wooden seats and fittings of a sort of Mitteleuropa Hoffbräu have been installed in the palimpsest of an unremarkable old Dublin pub, a decent old bar and a few bits of exposed brick. It is not particularly busy on a weeknight, but there are a few quiet groups around. 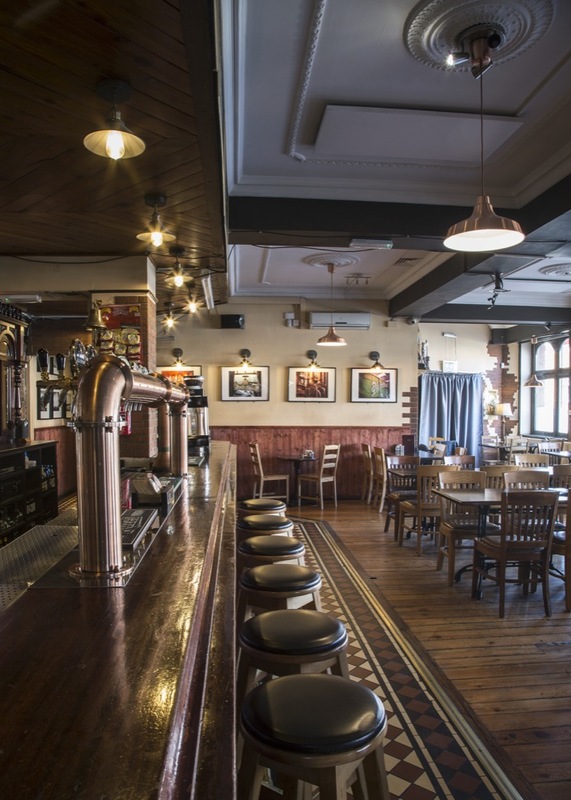 Some are at tables – there is a kitchen from which the occasional pig’s knuckle or plate of sausage and dumplings emerges – and a few sit at the bar itself, which is a fairly small affair for such a big room. Without claiming any expertise, I think I hear quite a few different Slavic languages, and I’m told that Pifko has a fairly ecumenical reputation as a watering hole for many communities beyond its Czech and Slovakian headliners. A few hardy lads next to me are from one of the former Yugoslavian countries, watching their national fortunes in a football friendly against Germany, on a Czech television station. Add in a few shots of Slivovice (plum brandy) and it’s a bit Good Soldier Švejk, all in all. It may be worth a revisit to contrast a more raucous time of the week. Tonight, it is quiet. 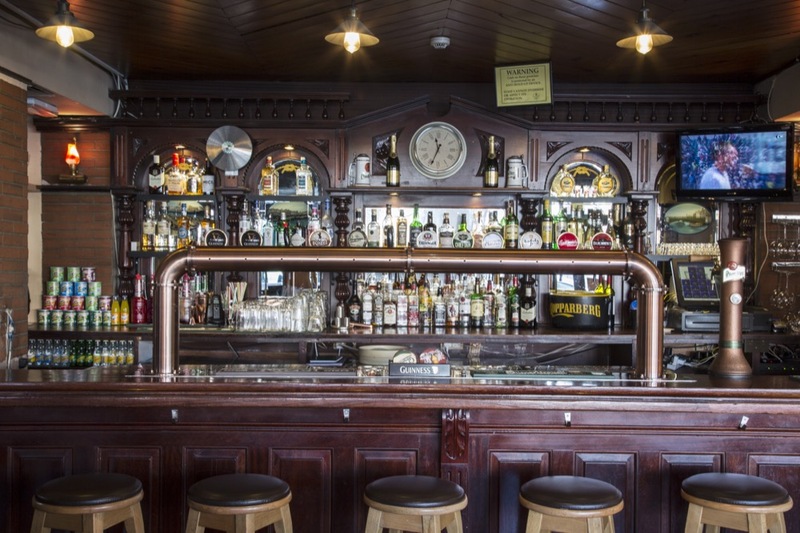 The beer list is not hugely extensive, but it includes a few options that are uncommon enough in Dublin. You might see Budvar, Staropramen, and Pilsner Urquell often enough, but rarely on draught as they are here. Zlaty Bazant and Kozel you don’t see much at all. I opt for the Kozel, which I think should be at least easy to pronounce, but it takes me a few goes before the barkeep understand me. To be brutally honest, the choice doesn’t matter a great deal – Czech pilsner is not a style that leaves a lot of room for manoeuvre. It’s a perfectly good beer, it’s properly chilled, cellared, and poured, and any pintman worth his salt will happily drink a fair few of them. I get started on that task while contemplating an incongruous playlist of 1990s Euro dance-pop deep cuts: Aqua, S Club 7, M People. It’s hard to know exactly what the inscrutable clientèle of mostly lads in Adidas tops makes of it, attuned glumly as they are to the football. It seems appropriate to pair the next beer with something stronger, and there are quite a few regional options. In addition to Slivovice there is Becherovka, a herbal bitters best described Czechia’s answer to Jägermeister. I opt for a Fernet Stock, a Czech brand that is thinner and milder in flavour than the ubiquitous Fernet-Branca, which comes in a suitable tall shot glass and complements the fizzy beer. I get the sense that one does in certain Irish bars in the US; that Pifko does some duty as a networking hub. If you’re from a European country which the creator blessed generously with consonants, it’s a place to meet and to find contacts and advice as well as comfort food, comfort beer, and comfort high-test damson brandy. And, for everyone, if that menu is something that’s been lacking in your Dublin experience since the Czech Inn became Lundy Foot’s, then the city’s most lugubrious Hi-NRG dance party is here for you.